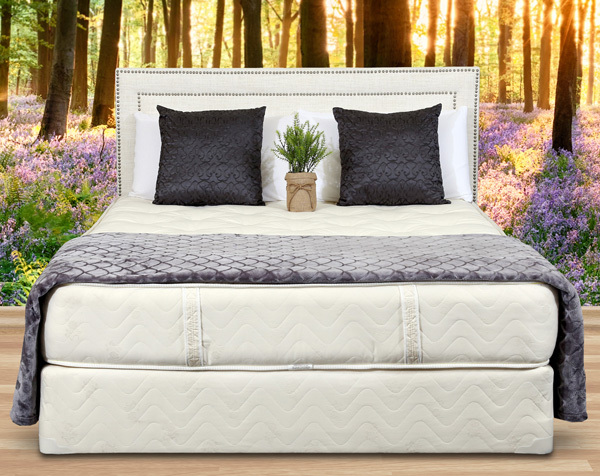 Adding accessories, like mattress pads and mattress toppers, to your current bed is one relatively inexpensive way to breathe new life into an old mattress, or even provide extra support, padding, or protection to a new one. When shopping for a mattress pad or a mattress topper, it’s important to understand the difference between the two in order to purchase the best accessory for your personal needs. Also, note that sometimes, the terms are used interchangeably, which can cause confusion. Here’s a handy guide to understand the differences. Further still, some more expensive mattress pads offer a heating or cooling element to ensure a more restful sleep if a person tends to run hot or cold during the night. Due to the design of a mattress pad, the typically stay put on the bed and will not shift as the sleeper moves around at night. Think of a mattress topper as a miniature mattress; they’re much thicker than mattress pads and are designed to provide an even more comfortable sleep experience. Usually, mattress toppers are not secured to the mattress itself and instead are simply laid on the top of the mattress underneath a regular fitted sheet. Mattress toppers are made out of down, foam, cotton, memory foam, or latex, which offers a variety of comfort options depending on individual needs. The downside of a mattress topper is that it can be bulky and hard to clean. They tend to be costlier than mattress pads, although they do offer many additional benefits and greater comfort. Deciding between a mattress pad and mattress topper depends greatly on your specific needs. Do you need to protect a new mattress from stains, or are you looking to boost the comfort of an existing mattress? In some cases, it may be to your benefit to purchase both a mattress pad and a mattress topper. Contact Gardner Mattress today to find out more about the options we offer in mattress pads and mattress toppers. We’ll help you discover the right choice for your needs. Next article	Are Organic Mattresses Affordable?